The research examines entrepreneurial orientation (EO) in Malay family firms by taking personality traits as the antecedent. This construct is used to explain the influence of entrepreneurial orientation (EO) and its consequence towards firm performance. 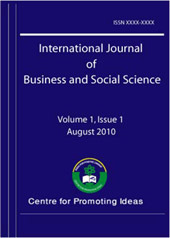 The impact of personality traits towards firm performance observed in Malay family firms is unique to the paper. In Malay firms, the relationship between personality traits with firm performance was not mediates by entrepreneurial orientation (EO). However, the construct is significant as predictor towards firm performance.Our studies provided the empirical test in understanding indigenous entrepreneurship in Malay family firms in Malaysia towards developing a more holistic entrepreneurship theory.